Since its launch in 2007, the TimeZero software range has evolved with the same objective: to provide a fun software that allows you to navigate safely. 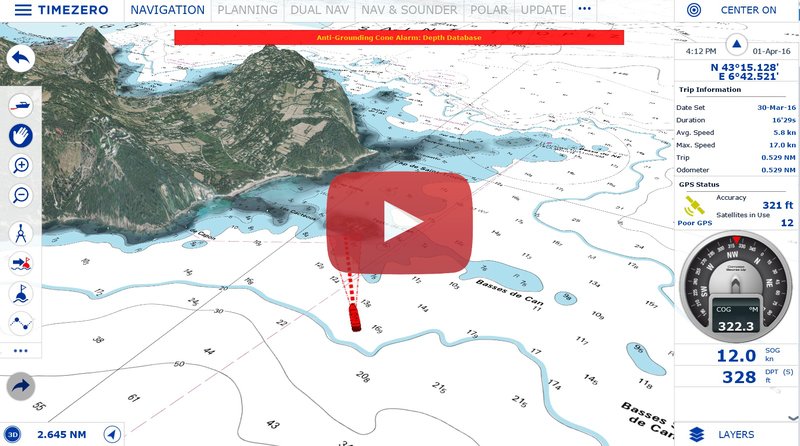 This new version offers many new features for all boaters. The management of the routes and the new safety cone are available in this new version because our customers safety remains our priority. 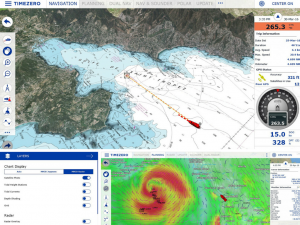 All concepts that have made the success of TimeZero: tides, currents, weather forecasts, etc. are now integrated into an enhanced user interface and fully adapted for use on touch screens! TZ Navigator v3 is compatible with Microsoft® Windows® 7 SP1, Windows 8.1 or Windows 10.